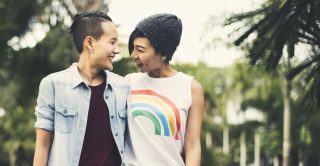 A study of the mental health of the LGB population has found that people who identified as gay, lesbian or bisexual experienced poorer mental health than heterosexual people. The research highlights the inequalities experienced by sexual minorities. Published in Preventive Medicine, the research examined variation in markers of physical and mental health among both sexual minority and heterosexual individuals and was one of the first studies to include data on people who identify as other and those who prefer not to say (PNS), as well as those who identify as gay, lesbian, bisexual or heterosexual. The data was taken from Wave Two and Wave Three (2011–2014) of Understanding Society. Sexual orientation was asked in the self-completion portion of the study. Markers of health include physical and mental functioning, minor psychological distress, self-rated health, substance use and disability. Over 40,000 individuals completed the self-completion survey and answered the sexual orientation question at Wave Three. Ninety-four percent of respondents identified as heterosexual/straight, 1% identified as gay or lesbian, 1% as bisexual, 1% as other and 3% preferred not to state (PNS) their sexual orientation. Bisexuals experienced the poorest health and other studies from different countries have shown similar findings. Sexual minority young people were more likely to report use of other drugs in the past year compared to heterosexual and PNS young people. Respondents who prefer not to say their sexual orientation had lower scores on the general health indicators, e.g. physical and mental functioning, when compared to heterosexuals. PNS respondents reported better smoking and alcohol behaviours than heterosexual respondents. One of the report’s authors, Dr Cara Booker from the University of Essex, explains why this research is important. “Few studies from the United Kingdom have fully investigated inequalities between members of different sexual minority groups and heterosexuals over range of health outcomes. NB Please note that this news article has been reposted from the Understanding Society website.